C.S. Eric Sprott is talking about the "Golden Cross" - the very powerful bullish signal coming for Gold within the next few days. On the chart above you can see the very strong first move of the new Bull market in Gold from the December 2013 low. We are just 2% from 20% increase when media will start talking about the new Gold Bull market being "confirmed officially." As you can see MA 50 is turning decisively Up and is ready to cross MA200 to the upside. The very important driving forces behind this Gold rally is the record buying from China and the ongoing Gold Manipulation investigations. 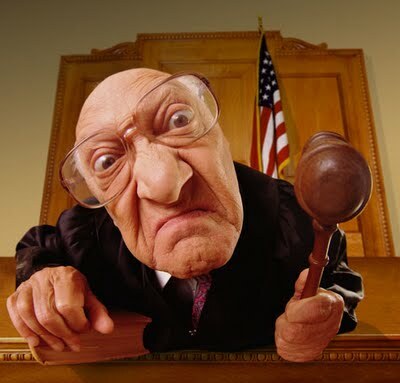 Eric thinks that all major bullion banks are at risk now and their compliance departments are very busy trying to manage the damage of potential litigation and fines. "The most important here that this process removes the manipulators out of the market. The ceiling is taking off from the Gold price now, they can not continue to manipulate Gold market as they did any more"
You can listen to Eric on the link below and we will run a few charts showing what "Golden Cross" means for particular stocks. We have discussed the "Golden Cross" for McEwen Mining a few weeks ago and you can see the performance of that company this year. 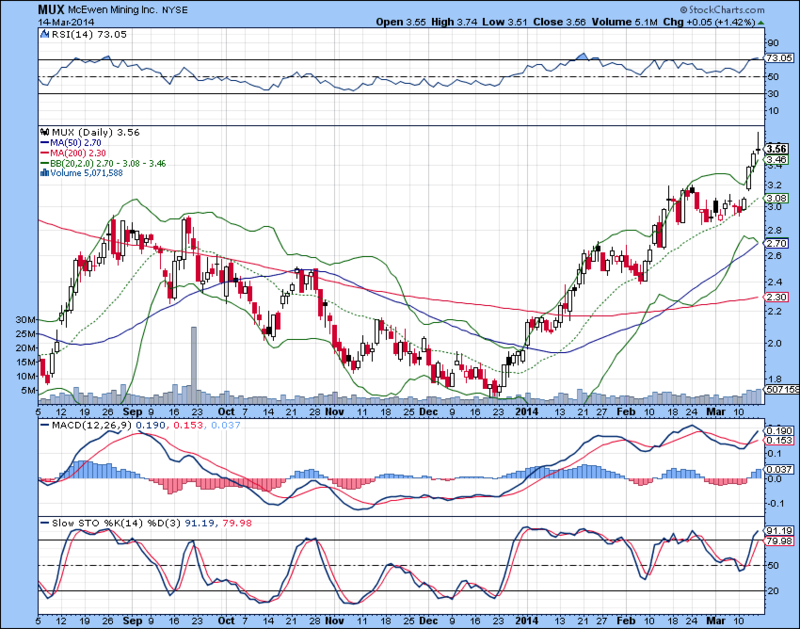 The stock is in a clear breakout mode fuelled by the Gold breakout and the powerful short squeeze. We expect TNR Gold to join this party after the Gold "Golden Cross" will ignite mass media talk that the Gold Bull Is Back. 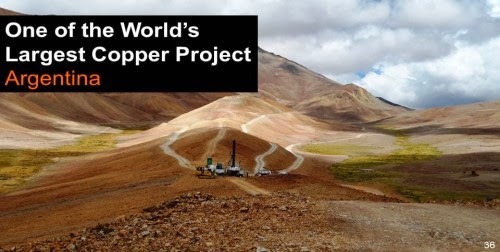 "McEwen Mining has delivered solid results in 2013, updated its resource estimates at the San Jose mine in Argentina and Gold breakout now drives the stock higher on the massive short squeeze this week. 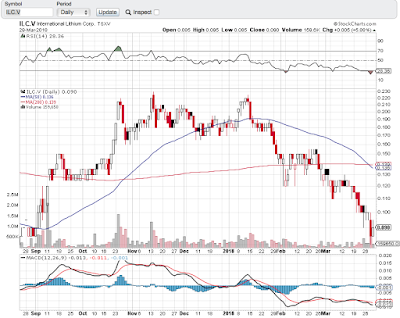 According to NASDAQ, McEwen Mining Short Interest was at 25.5 million shares in the end of February. Solid operational results, higher Gold and Silver prices are making shorts very nervous these days. Catalyst will come with the news from Nevada exploration program, El Galo 2 development with higher Silver prices and any Los Azules copper development can change the situation for McEwen Mining and TNR Gold overnight." 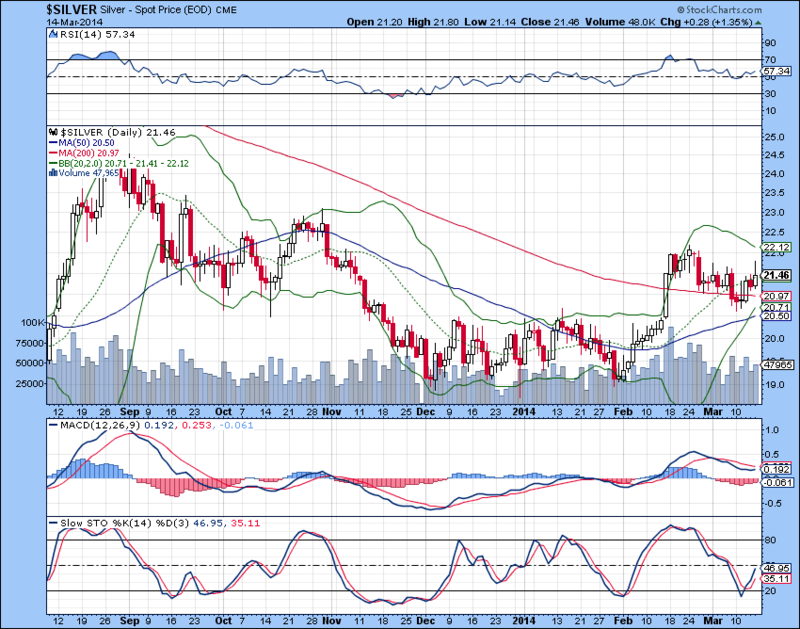 Silver is very close to print its own "Golden Cross" on the chart above. 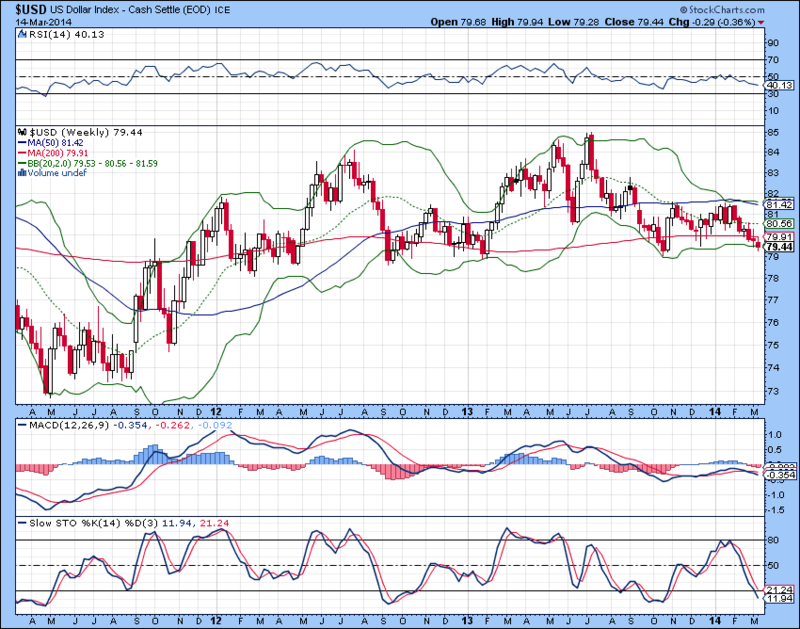 It took longer for Silver to consolidate than for Gold and now we have the very bullish formation of Cup and Handle. Next move in Gold above $1,420 - the previous High in the Double Bottom 2013 formation - will bring the major force to move Silver much higher after its "Golden Cross" will be in place. 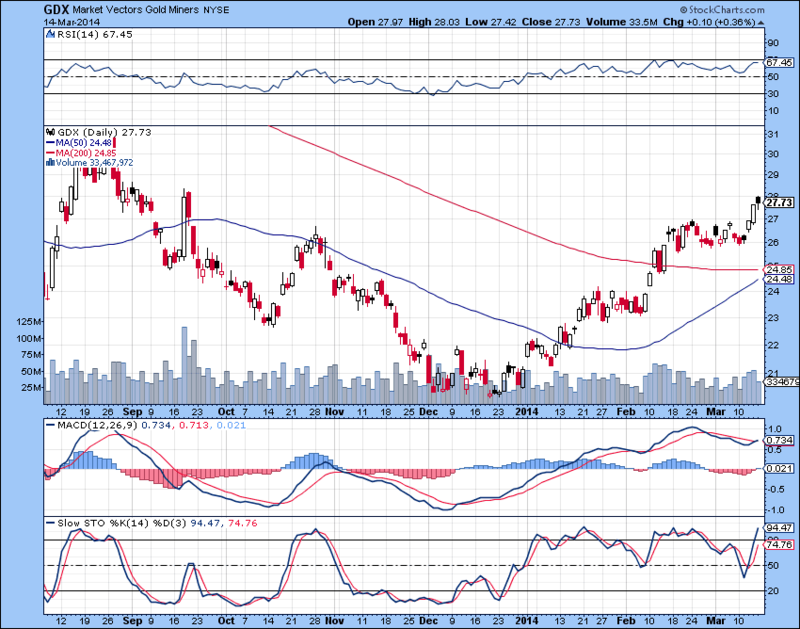 Gold Miners ETF GDX is very close to print its own "Golden Cross" as well. It is in a very powerful recovery mode as well and is breaking out of the Bullish Cup and Handle formation. 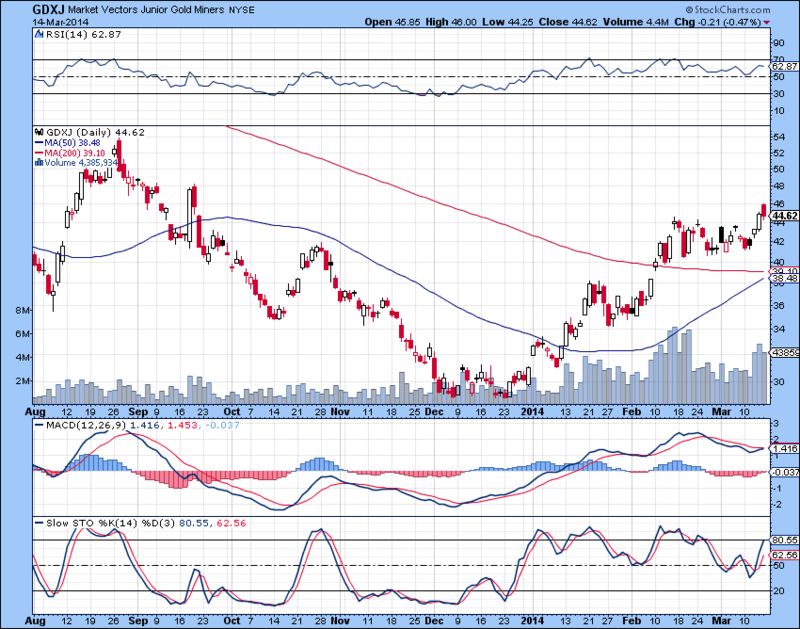 Junior Gold Miners ETF GDXJ shows the similar print. The Volume is rising this year in the sharp contrast to the last year, more money is coming in search for the higher leverage to the Gold price. 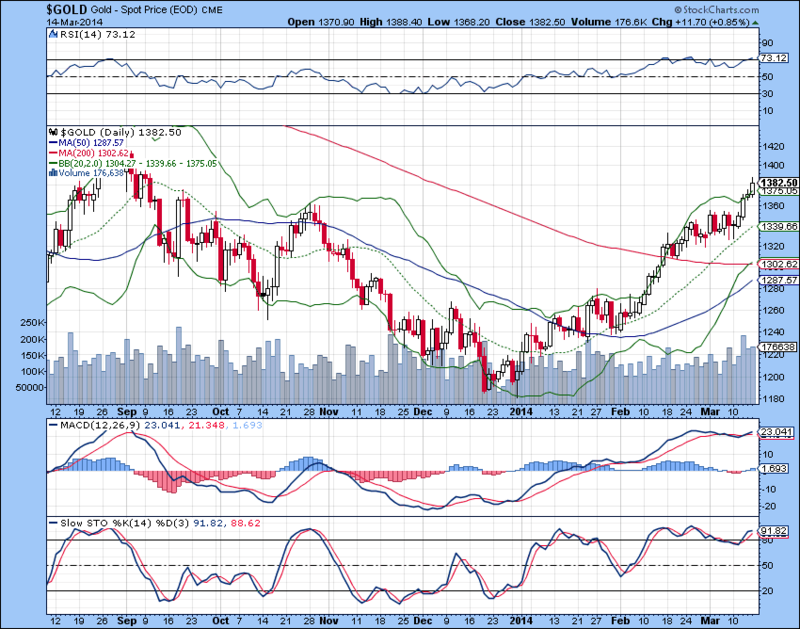 GDXJ is very close to print its own "Golden Cross" as well. It is in a very powerful recovery mode as well and is breaking out of the Bullish Cup and Handle formation. Mass media talk that The Gold Bull is Back will highlight the stronger junior miners with promising projects which were sold into the dust last year. US Dollar on the chart above is very weak and the news about 100 Billion in US Treasuries being sold last week are not helping it. The ongoing Financial War USA vs Russia and China around Syria and Ukraine accelerates the De-Dollarisation as never before. "Gold is above $1,370 today and US Dollar is testing another low of 79.30. 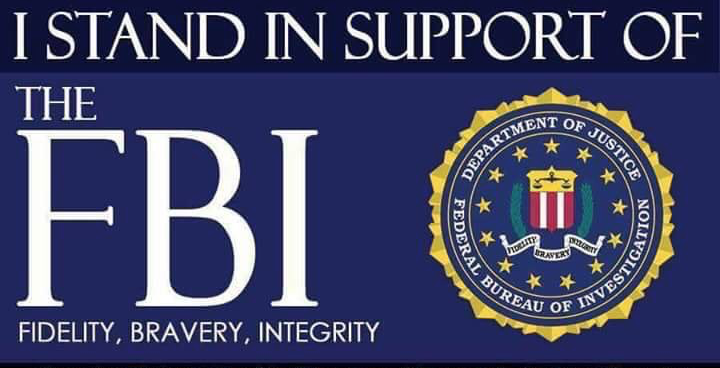 Paul Craig Roberts is pouring very cold water on the hot heads from the "DC Command Centre". All these War games can be ended in the very real tears, world is too much interconnected today in order just to punish "the bad guy". Somebody wants the War too bad with any excuse and it is not the good idea at all. Ongoing Financial War already distorting the markets and U.S. recovery is too weak to handle and further external shocks. The very least what BRICS can do now is they will speed up their De-Dollarisation plans."